Here is a picture of the horse. I had the pin made into a pendant. The hallmark is too small to photo, but it is located on the backside -upper mane. Thanks Paula!!! 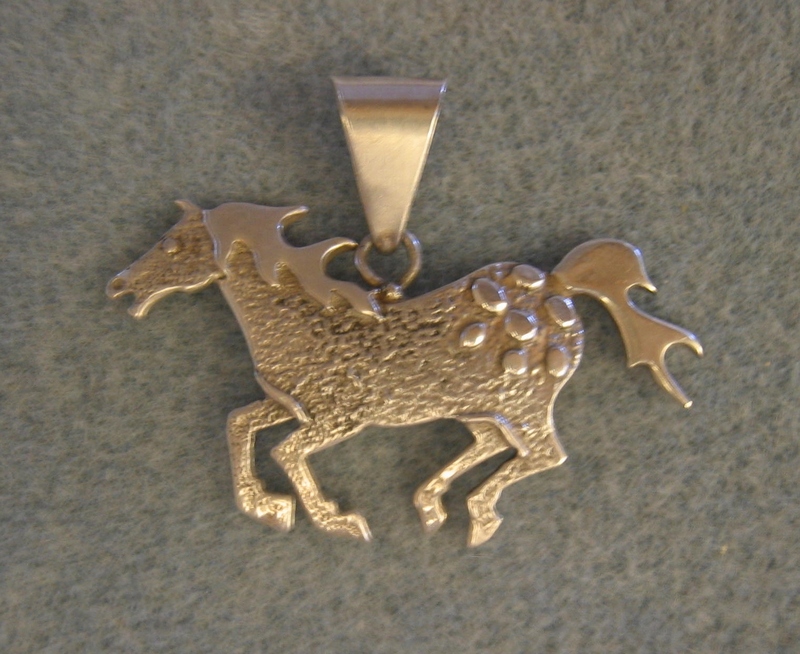 Great idea to make that great little horse pin into a pendant. The artist is Ervin Hoskie, Navajo. We’ve had several of his pins in our store in the past but not lately.